Unsure which news about Russia is true and which is fake or a gross distortion? Of course you are. We all are. 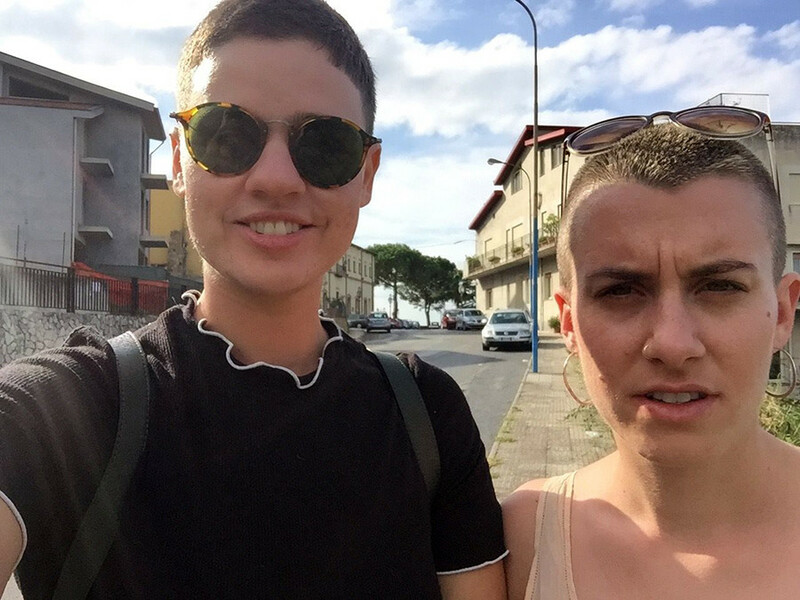 Luckily, Americans Olivia Capozzalo (26) and Smith Freeman (25) have their ‘She’s in Russia’ podcast to help cut through the incessant torrent of anti-Russian propaganda. They spoke to us about their mission to prevent Cold War 2.0. 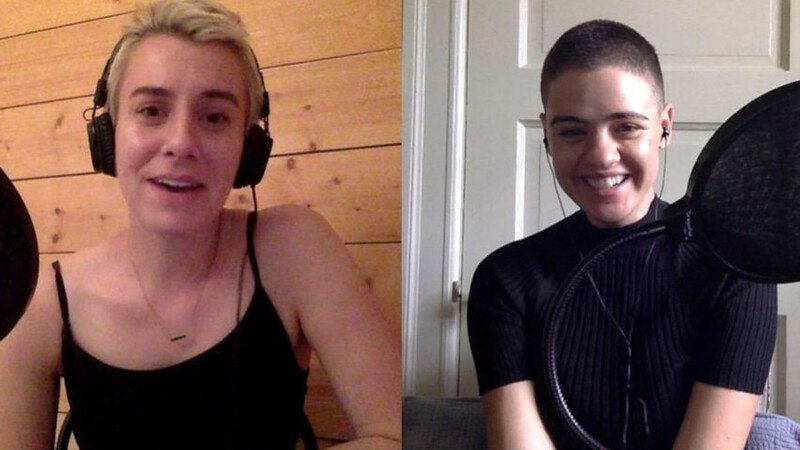 Almost nine months ago, best friends Smith Freeman and Olivia Capozzalo began airing their podcast, ‘She’s in Russia’. With Olivia based in St. Petersburg and Smith in New York, the show has one grand ambition: to add a human face to the Western perception of Russia through analysis and storytelling. 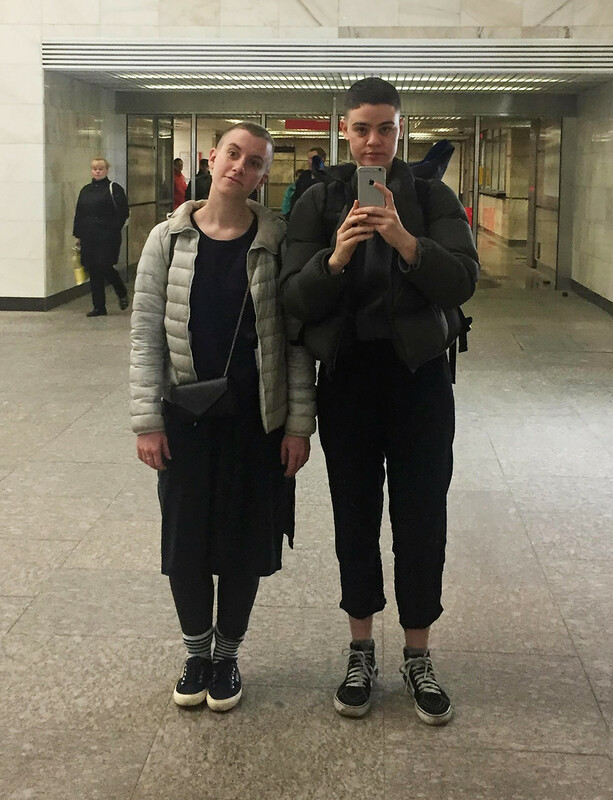 Now in its 39th installment, Olivia and Smith’s podcast has covered everything from Crimea to Soviet architecture, to drinking in St. Petersburg on the cheap. Russia Beyond asks them why Westerners shouldn’t be afraid of Russia. Start us off – what would you expect to hear in the average ‘She’s in Russia’ episode? Olivia: I would describe our podcast, first of all, as not only political. Overall, we try to give non-Russians a more, kind of, complete and nuanced image of Russia. It’s a combination of history, everyday life, contemporary culture, and we try to root what we do in my experience living in Russia. Smith: Yeah, I think that’s one half of it. But the whole podcast came from the idea that we wanted to challenge the Cold War II rhetoric in the mainstream American media. So, for example, when Rob Reiner created that ridiculous organization to investigate Russia [actor Rob Reiner’s ‘Committee to Investigate Russia’ seeks to publicize information on what he claims is a 'cyber war' between the U.S. and Russia], we did an episode on that. So, the goal is to rebut the ridiculousness of the mainstream media, and then pair that with a nuanced, fuller image of Russian life. Can Western political hysteria around Russia be explained by our cultural ignorance? O: Yeah, it’s a huge factor. For Americans, you have this blank slate phenomenon. There’s really no education or anything to base your opinion on. So, whatever is being said in the media has the power to manipulate public opinion in a very non-nuanced way. You don’t have anything to compare the anti-Russian narrative to. Not having prior knowledge means it’s easier to dehumanize the other culture, as you can’t relate to them as real people. Smith is better at talking about the violence, though. S: With more anti-Russian propaganda, the more they successfully dehumanize the people and country. On the surface you think, “it’s just rhetoric, what does it actually matter,” but when you successfully dehumanize an entire nation, it’s much easier to go from a Cold War to a real war – a Hot War, if you will. We’re a small podcast, we’re just regular people, but it’s important to have stories like, “I go to the store and talk to my Russian friends”. They are also humans. So let’s talk about building cultural bridges. First of all, what brought you to Russia? O: St. Petersburg is beautiful; it’s really a perfect size for a city – big, but compact and very walkable. It’s an aesthetic experience that we don’t have in America because everything we have was built like 20 years ago [laughter]. Sure, in New York there’s some old stuff, but we don’t have the baroque, beautiful other kinds of architecture. Moscow is great for art, too. Both cities are the places closest to the West, both culturally and geographically. People tell me that St. Petersburg and Moscow are not the real Russia, but I’m mostly drawn to Russia’s urban culture. O: I did have a choice, but I studied Russian literature and many books are set in St. Petersburg, so I felt attached to the city through literature and art. Like, this is the city that Dostoevsky saw, and a lot of it’s still well preserved. Even in Moscow, there are many places you can go and see from Bulgakov’s novels. Like Patriarch’s Pond from "Master and Margarita", or even Bulgakov’s house. S: I went to St. Petersburg a couple of weeks ago. The architecture really struck me – it reminded me of fondants, you know those cakes covered in sugar, kind of like that? One of my favorite things was to go to the banya. In terms of culture, Russia imports a lot from the West. You mentioned the banya, for example. What else do you think Russia could export culturally to the West? S: Oh we know! Well obviously, banya culture, but there’s this thing that the Soviet Union created. Have you had those little cheesecake bites, called syrki? They’re chocolate covered? S: Oh my god, your life is about to change. You’re gonna love it. They’re only like 30 rubles ($0.50). That’s pretty reasonable. What else? What about Russian rap? So much non-Western music is becoming popular in the West right now, like African music and K-pop, which have their own niche appeals. Can Russian rap follow that lead? S: I think it’s possible but probably unlikely, because a huge part of rap is being able to understand the lyrics. But that’s not to say that Russia can’t develop a sound or beats that are particularly Russian. Then you have someone like [famous rapper] Oxxxymiron, who speaks English and can rap in English, so you might get some crossover there. I think where you might find some Russian music is in fashion, because you have street styles like Gosha [Rubchinskiy] that are associated with hip hop and worn by a lot of American hip hop artists. One person whom we discussed on the podcast was [rapper] Husky, and he definitely has that kind of gopnik-y aesthetic. So do you consider street culture something that can be exported? Are gopniks the saviors of Russia-West relations? O: I think the whole ‘Squatting Slavs’ thing is just a meme, and not a very sensitive one. But as far as I know, there are several big high fashion designers that are definitely not gopnik-y, and Gosha is a new and unique phenomenon happening in Russia. Really, what was once associated with poverty is coming into high fashion, and probably unexpectedly for him; it really caught on in the West. If you could each say one thing to convince someone scared of Russia to start reading up, or even to come over and visit, what would that be? S: The plane tickets are extremely cheap. My round trip from New York last time was $550, so it’s very easy to access. Instead of reading things about troll farms, just get on a plane and go hang out in St. Petersburg. O: Yeah, I was gonna say the same. Don’t perceive it as the authoritarian society that it’s portrayed as, or boycott, because you don’t agree with the Russian government. I would encourage people not to do that because I don’t think that helps anyone. Finally, are there any other podcasts/analysts you recommend? S: Sean [Guillory] is a good one; Kevin Rothrock, who’s the senior editor for Meduza, also does a podcast called 'The Russia Guy'. There’s also 'The Eastern Border' podcast, which delves into Soviet history a lot. But yeah, the Russia space in general is pretty small regarding podcasts. At least, for now! The top 10 punchlines from Oxxxymiron’s rap battle with Dizaster in the U.S.